You may eat as it is by seasoning the soy sauce base, and you may eat applying the mayonnaise. In the squid that burnt according to the shop, the variation such as rice , egg, the spring onion, the cabbage, and meat is abundant. The squid is put in the cloth of flour and the squid grilling in Osaka is burnt. Afterwards, it eats a salted and sweetened source putting it. It has the consistency of dough. It seems to be popular among the animated cartoon lover though I do not know so much. Are there goods in Akihabara? 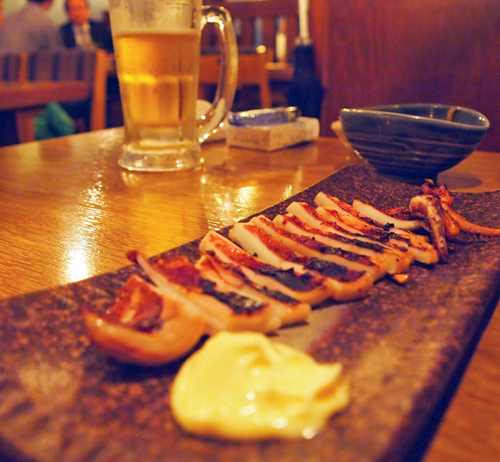 Ikayaki was information related to the squid though it was not related.